IQS Directory implements a thorough list of small motor manufacturers and suppliers. Utilize our listing to examine and sort top small motor manufacturers with previews of ads and detailed descriptions of each product. Any small motor company can design, engineer, and manufacture small motors to meet your companies specific qualifications. An easy connection to reach small motor companies through our fast request for quote form is provided on our website. The company information includes website links, company profile, locations, phone, product videos and product information. Customer reviews are available and product specific news articles. This source is right for you whether it's for a manufacturer of small gas motors, small electric motors, and small boat motors. Our small motors will not be topped by the competition! We provide a wide variety of products including miniature motors, custom built motors, universal motors as well as many others in order to better serve you! Our well trained technicians will work closely with you to come up with a product that will provide you with a lifetime of value. To learn more about what we may do for you; visit our website today! Using our global resources and our consistent business processes, ElectroCraft has built our reputation and our brand on customizable solutions that meet the needs of our customers at the lowest possible cost. Our small motors offer the benefits of high performance and high speed at low levels of noise and vibration. Our team of representatives are available to answer any in-depth inquiries about our line of small motor products. Contact us today! Small motors, large motors, we have them all! Since opening our doors we have been committed to ensuring that our customers are receiving products that will suit all of their needs. Each of our products is put through testing to ensure quality assurance. We are located in EL Paso, Texas but we are dedicated to serving our products to a global market! Visit our website today to learn more about our company! Small motors use a fraction of a horsepower, or 745.7 watts, of power to run and are therefore used in small applications and sometimes referred to as fractional horse power or FHP motors. They consist of four basic parts: the axle, enclosure (typically a cylinder of sorts), nylon end cap, and two battery leads. 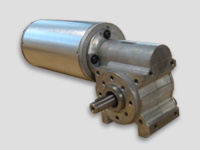 The simple design of small motors lends to their reliability and durability. Small motors are a popular choice for many manufacturing needs because of their cost-effectiveness in terms of maintenance and upkeep. The lifespan of small electric motors may be reduced depending on the specifics of the application for which they are used, but the benefits in both terms of compact size and minimal power usage are high. Small motors are used in many industries such as automotive products, robotics, home appliances, medical appliances and industrial applications such as linear devices, communications and air conditioning. 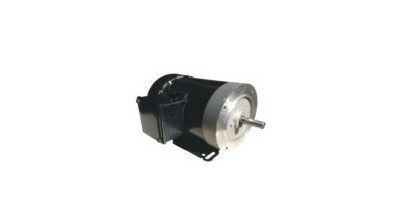 Specific types of small motors are used in welding, small centrifuge devices, pitching machines, wheel chairs, door openers, pumps, and frozen yogurt machines, among other uses. 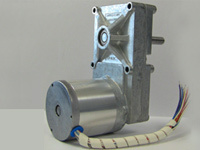 Due to the wide range of small motor use, they often need to be customized to fit specific products and applications. With variables in terms of voltage range, horsepower, diameter and RPM ratings, the possibilities for small electric motors are broad. The internal configurations of small electric motors vary depending on the purpose for which the motor is used. However, all small motors use electrical power to rotate, powering the devices to which they are connected. The motor spins in opposite directions when the battery leads are switched with the speed of the rotation being connected to the amount of voltage it receives. In a similar way, the torque or starting torque of the motor is dependent on the amount of current applied, either from direct current or alternating current sources. 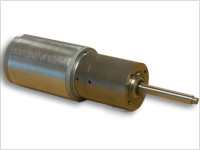 Although they are suitable for many uses, small universal motors are primarily used for torque applications which are used intermittently at high speeds. Continuous use would likely wear out the motor more quickly as they are not designed for heavy duty operations. Small motors can be brush or brushless. In those units with brushes, the brushes transfer power from the battery to the commentator, allowing the motor to move. Other design based options for small motors, especially those powered by DC, include the specifics of magnets or electromagnets and wire components used in the construction of the motor.